A woman was taken into custody in Evansville following an assault early Wednesday. Evansville Police were called to the 1300 block of S. Fairlawn Ave around 2:30 Wednesday morning to the report of an assault. Police located the victim, Jennifer Tabor, and saw her throat was cut. She was able to identify the suspect as 26 year old Abby Ballard of Evansville. According to Tabor, she was in a bedroom with Ballard and a witness when Ballard got upset about a comment made by Tabor. Ballard allegedly walked up behind Tabor and cut her throat with a box cutter. Officers were able to locate Ballard a couple of blocks from the scene. When stopped, Ballard gave officers a false name. Ballard was arrested and booked into the Vanderburgh County Jail on charges of Aggravated Battery with a Knife and False Informing. Tabor suffered non-life threatening injuries from the incident. 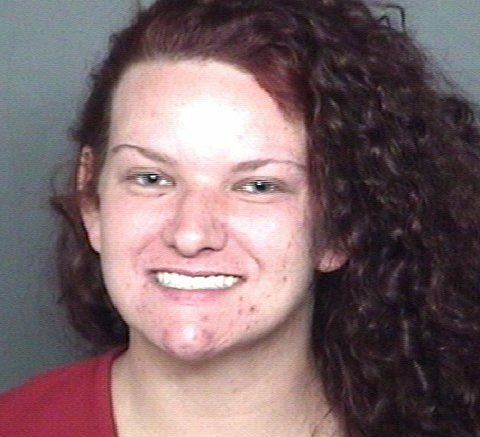 Be the first to comment on "EVANSVILLE WOMAN ARRESTED AFTER CUTTING INCIDENT"